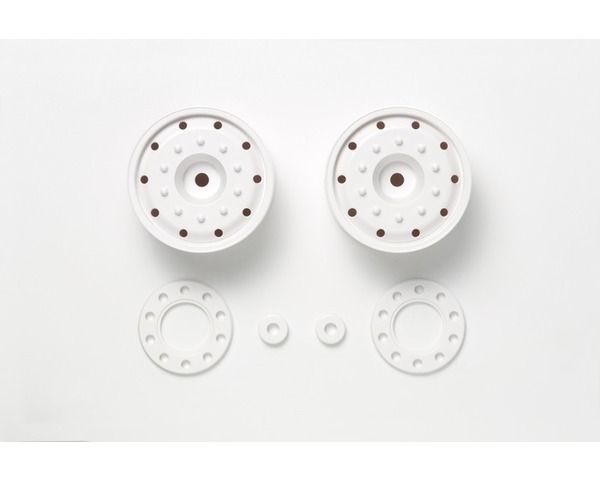 These are wheels that can be used on any of Tamiya's 1/14 scale RC tractor Trucks. Compared to the standard kit offered color, these wheels come in white for added diversity to your rig. These wheels are designed for use with tires of 30mm width. Hex hub type wheels make for secure attachment.